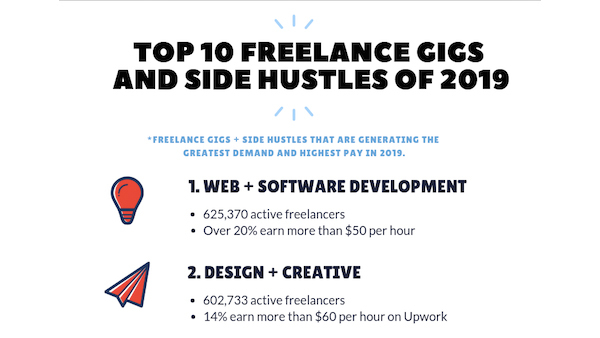 If you’re at a loss over what side hustle to take up this 2019, this infographic recently published by Fundera—a marketplace for small business financial solutions—might help you out. Fundera examined postings on four major freelancing websites—Upwork, Guru, PeoplePerHour, and Simply Hired—to determine the best opportunities in terms of market demand, pay, and client ratings. The results have been summarized in this infographic below. Learn more about each side hustle here.